You may have read yesterdays disaster where I tried to take up an absorbing hobby - birdwatching. The learning curve was just too steep. As if to mock me I glanced out of the window to see a Zebra Pigeon - Magpie looking back at me! Today, trying to take my mind off the BWC I decided to do something rather purposeful. My strategy was that if I was absorbed with a task, thoughts of the BWC would be banished from my mind. I therefore decided to rearrange my sock drawer. A gentleman should have socks of several colours in his possession however please do not wear white socks unless you are actually participating in a sport of some kind. In addition initials stitched into the fabric is a no no. 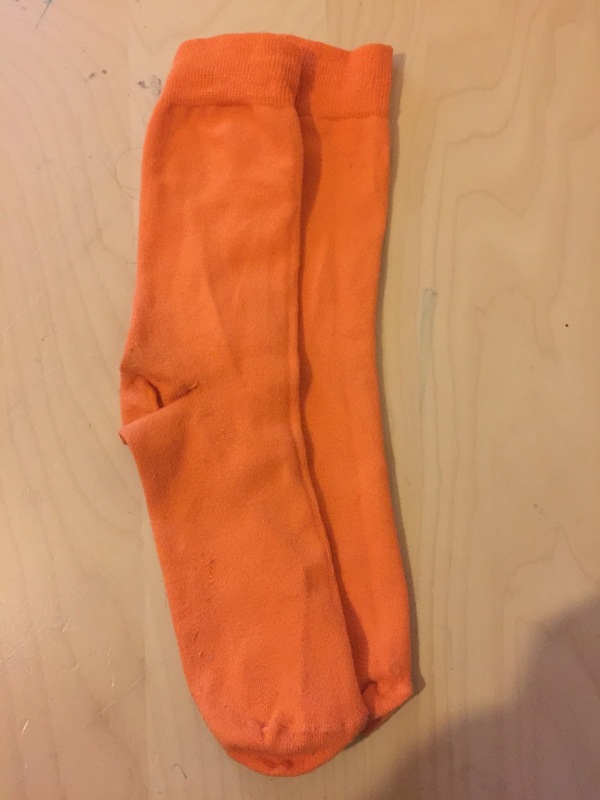 The owner of such a pair of socks is probably well known to the police! The rearranging was going really well until I spotted a certain collection of...orange ones. These socks have been worn in the heat of many years worth of Brompton World Championships. Picking them up I flung then into the drawer and shut it firmly. Will this torment ever end?! Wassup Orange? One is detecting you are not your usual self? Whatever it is, mate, go with it, all is well.